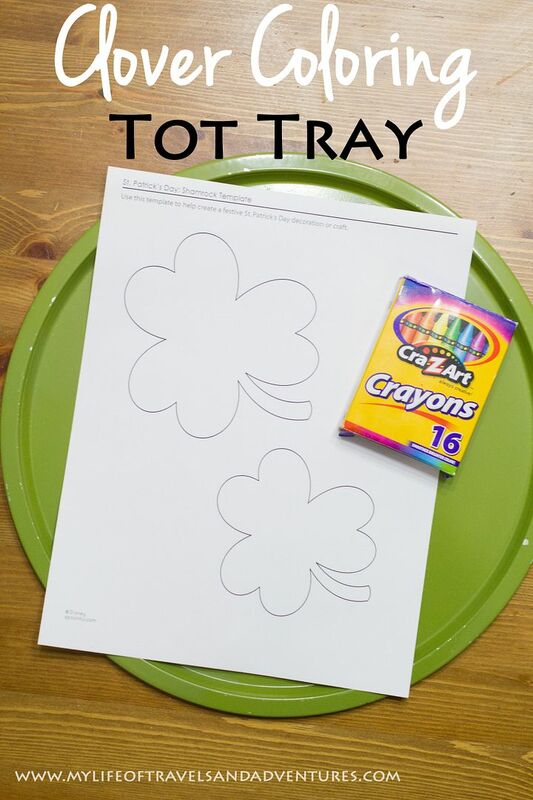 I had high hopes for St. Patrick's Day crafts around here. But alas the end of February and pretty much all of March is hectic and crazy. 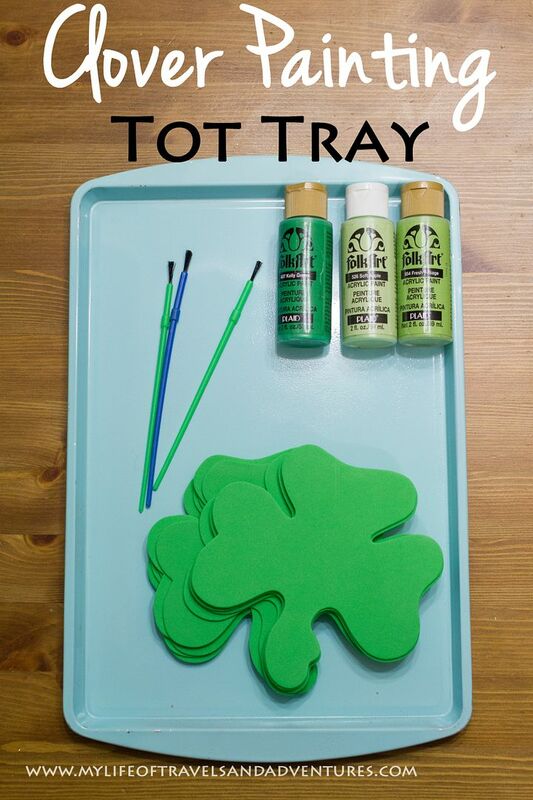 So our St. Patrick's Day festivities were limited to a couple easy decorations made by me and a Green/Shamrock Tot School. 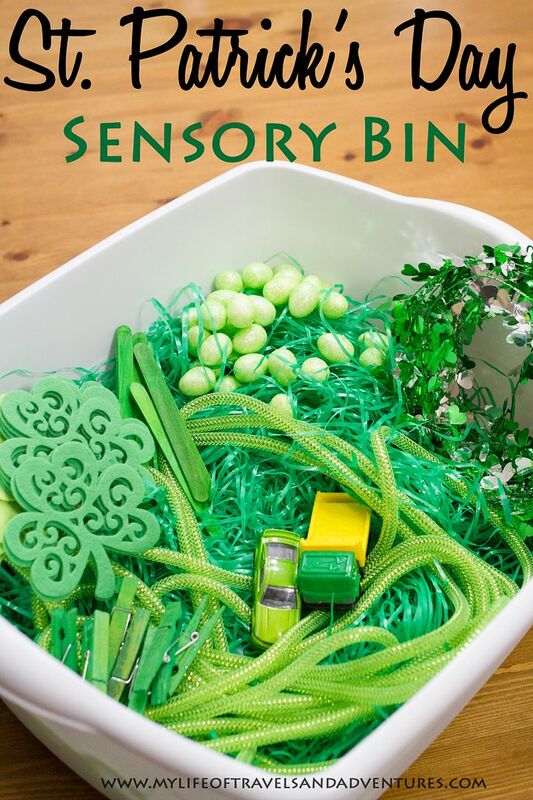 This Sensory Bin is really just a big ole bin of green items we had. Some hard, some soft, some round, some long... Whatever, I could find. That being said, it was still a hit. 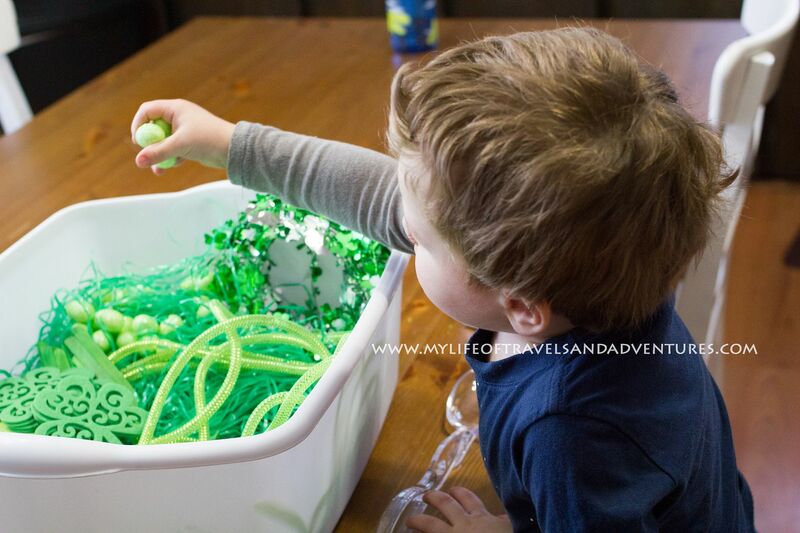 That green tubing was constantly strung out all over the floor. Reid absolutely loves using dot markers. And he is getting really good at only dotting in the circles. 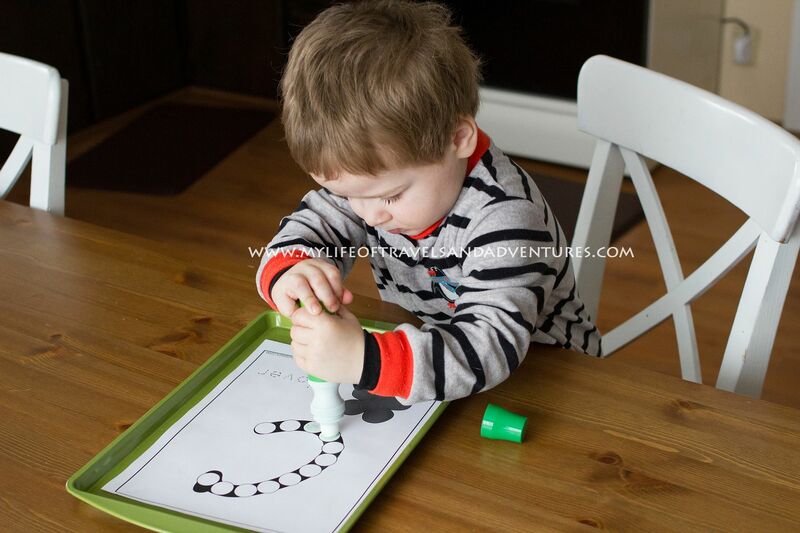 Again, Cassie @ 3 Dinosaurs hit the mark with this dot marker printable. Play dough is definitely in right now in our house. 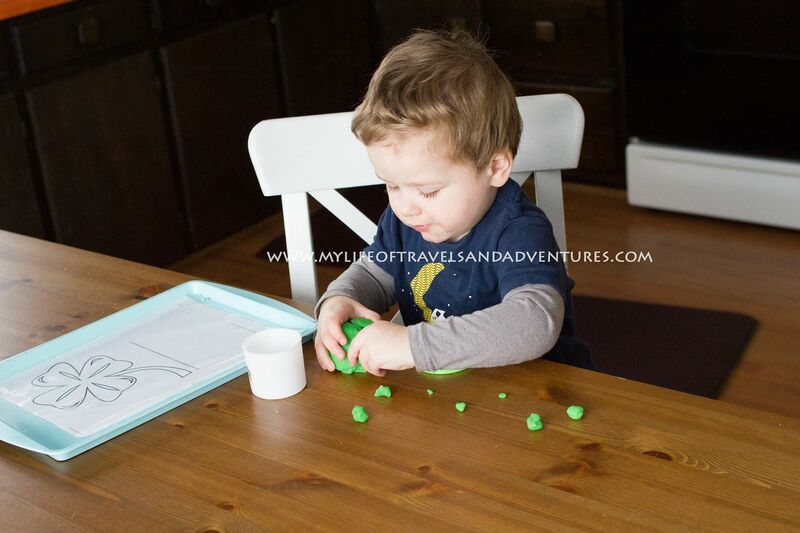 We play with play dough at least once a day... At least. Reid loves being able to use a paint brush and paint. I love that we have little decorations to hand out to the grandparents and such. Win win. 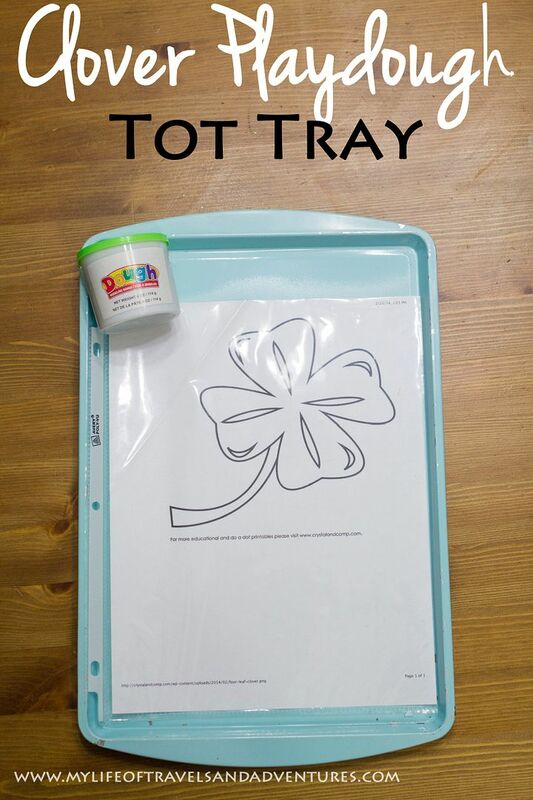 I thought this tray would be a hit since he loves stickers and has liked all the other tot trays with stickers. This was a no go. We didn't even peel one sticker. Oh well. The bead threading is hit or miss. He has to be in the right mood to concentrate for this activity. Which is hard since he is two and always on the go. 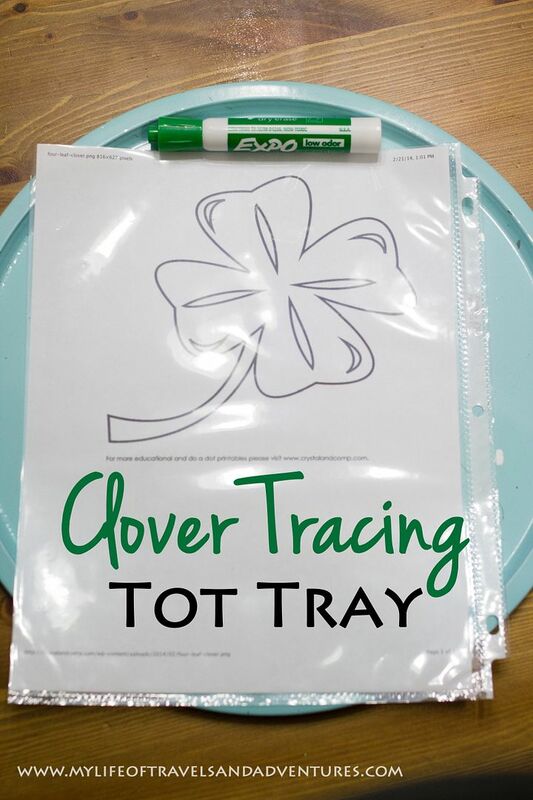 I just used the printable from the prior tray to trace and cut out a few colored shamrocks for gluing. The glue stick is always a hit. 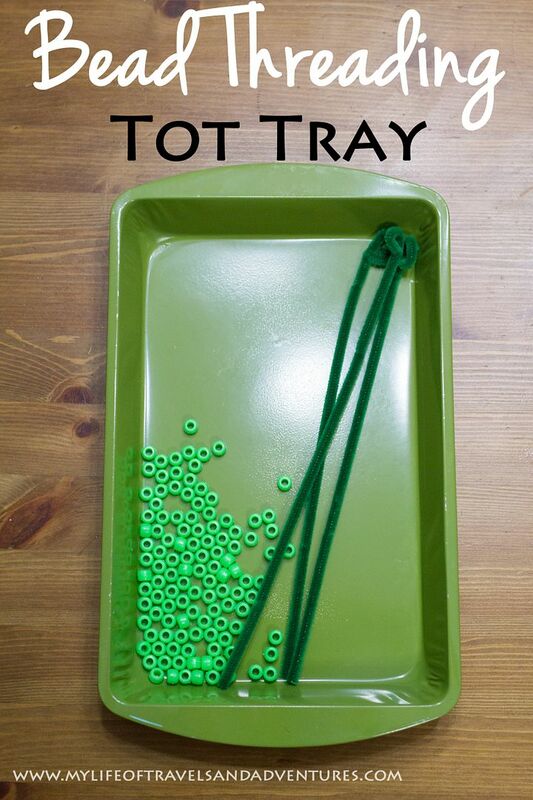 This was another tray that wasn't even touched. Oh well. More wash tape for me! Coloring with a marker? A hit. 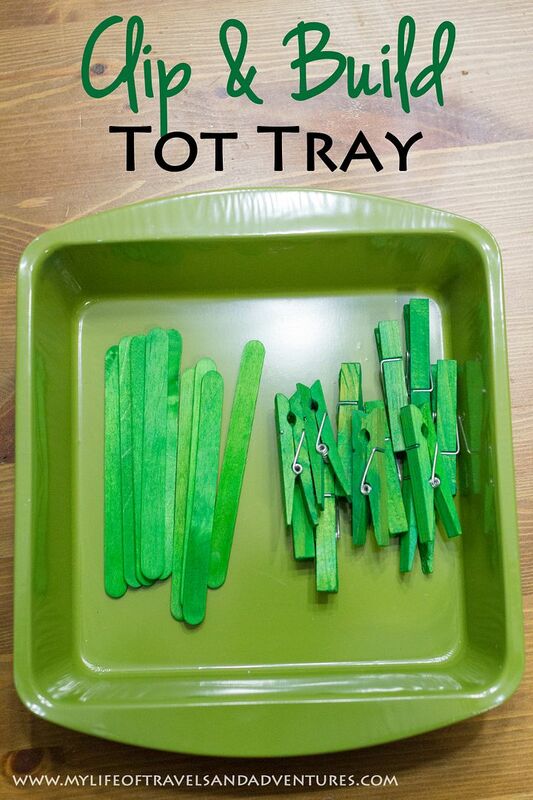 I had grand plans with this tray... to show Reid how to clip the cloth pins on the popsicle sticks, then show him how to connect them. Yeah. Fail. 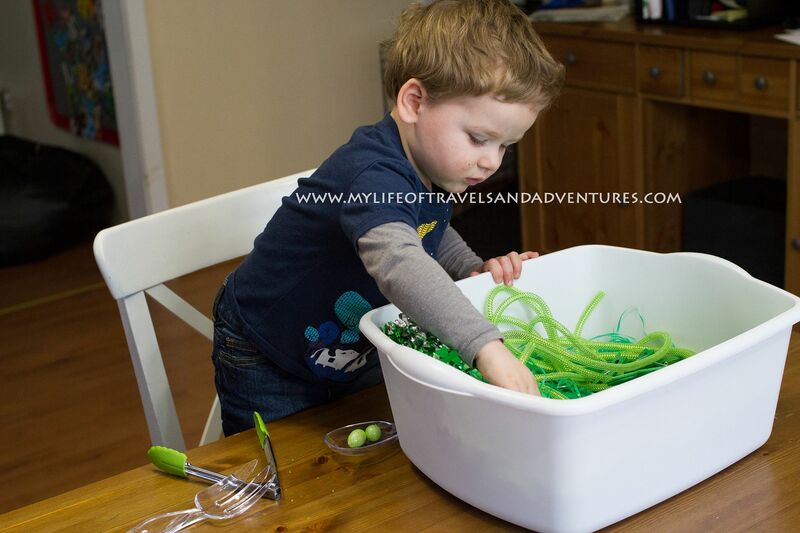 He wanted to build towers with this tray. So we did. Over all this weeks Tot School was a little rough. We are getting cabin fever around here and just need to get out! 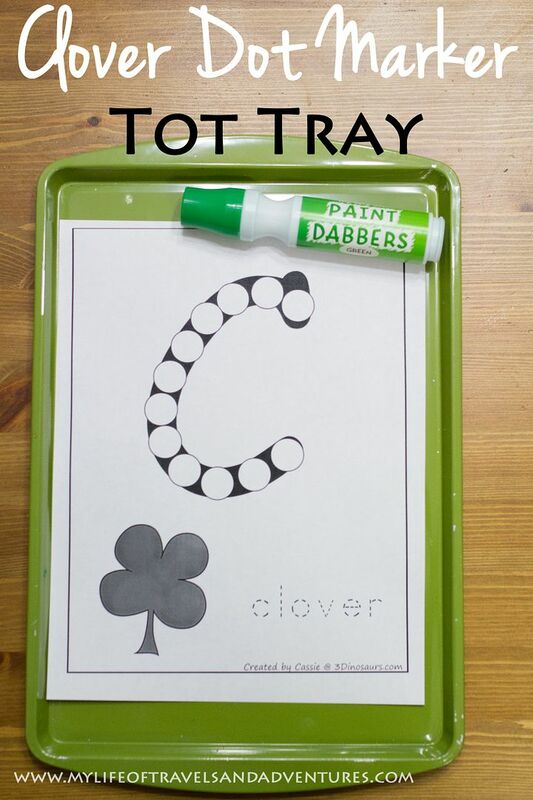 I had high hopes for St. Patrick's Day crafts this month too...unfortunately I don't think that's going to happen! I love your ideas though! Hi. I'm stopping by from the We Made Linky Party. Thanks for ideas. 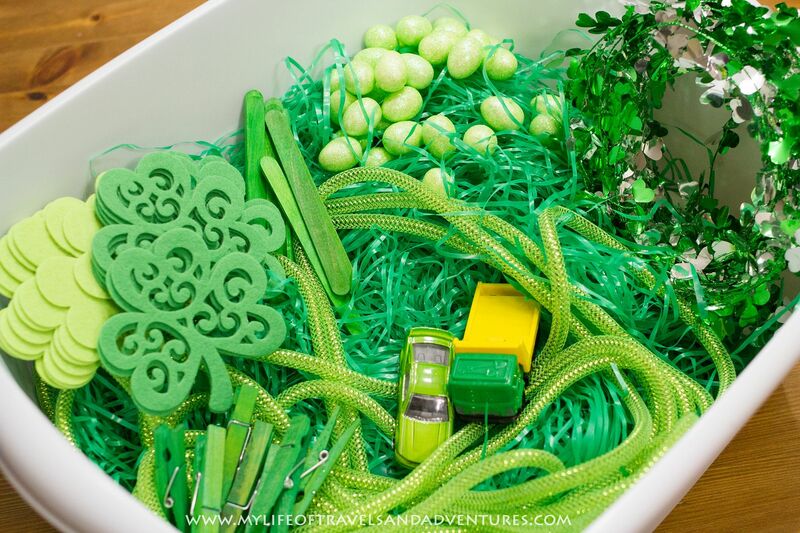 I'm late in the month just no trying to put some St. Paddy's Day. So you're way ahead of me! I just liked your Facebook page. 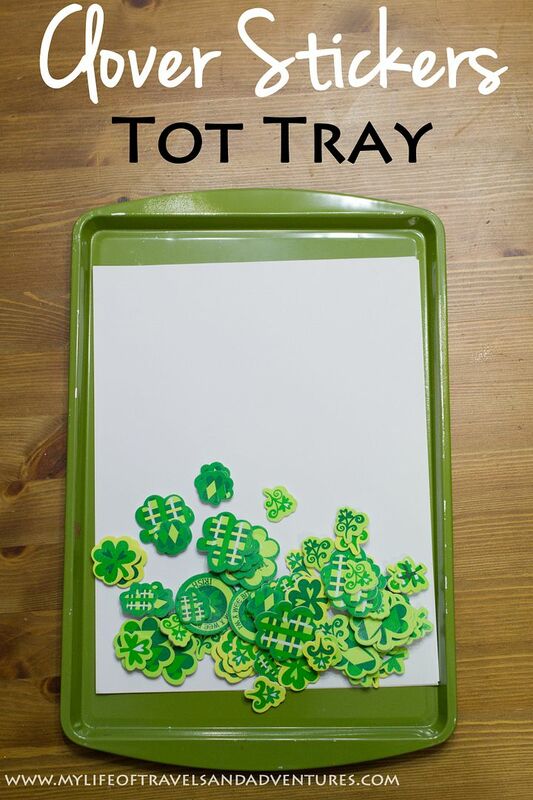 I have been loving all the tot tray posts you've done lately! My kids are past the tot stage but I've still been pinning your posts because the ideas are so lovely. 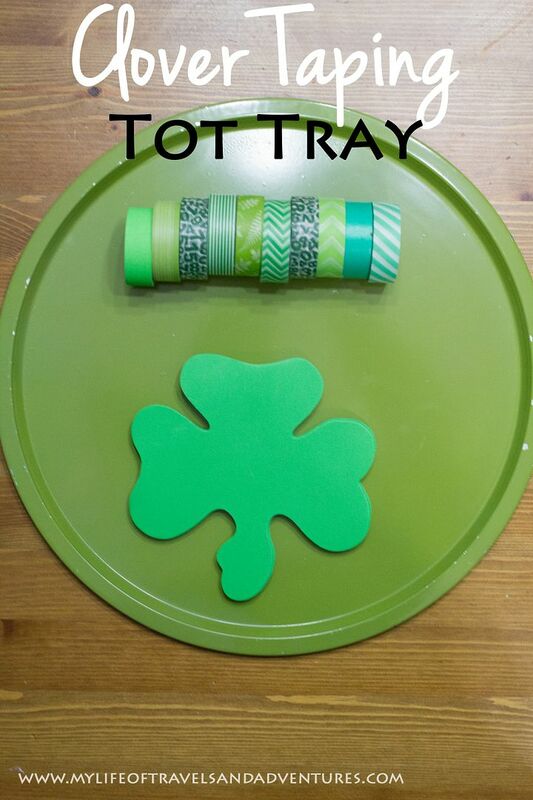 Thanks for another great round up of themed trays with this St. Patrick's tot trays post! 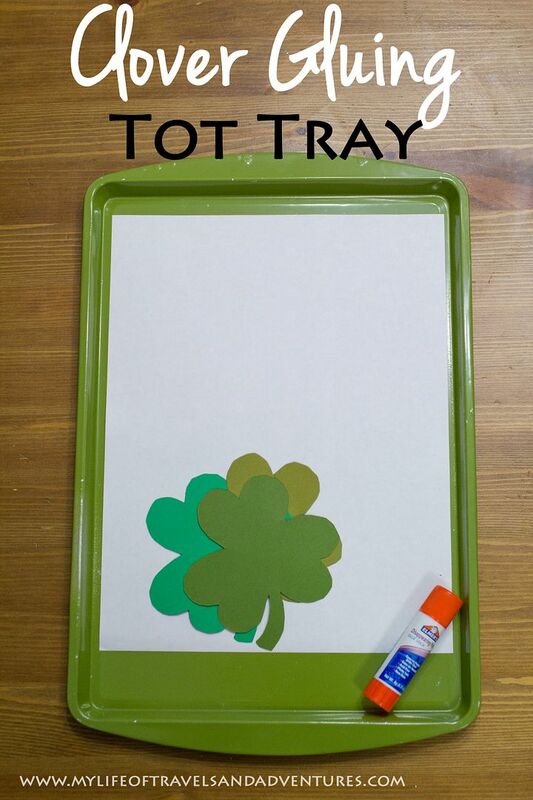 Did you spray paint those trays? 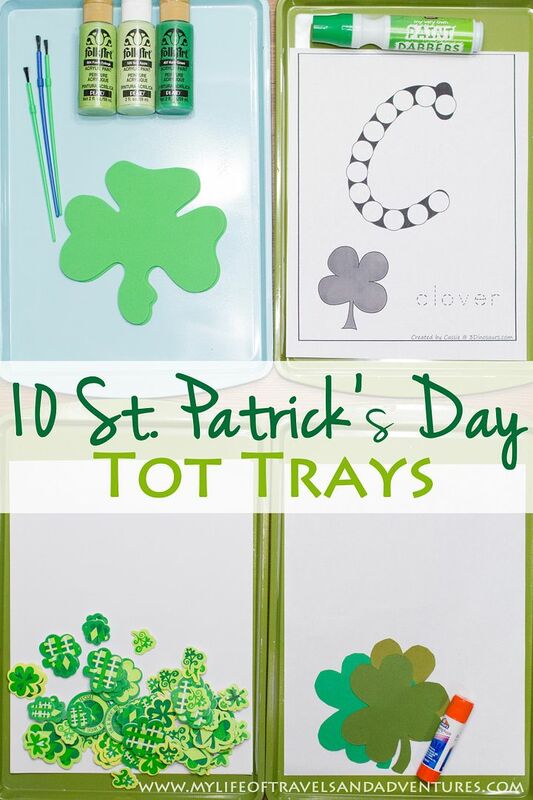 Love the colors, and the kids crafts are great too!